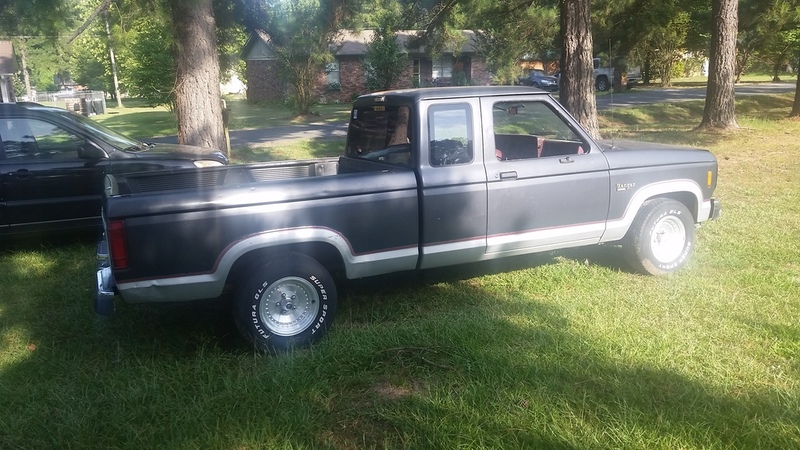 Had a danger ranger when i was in high school however it was a rusted out piece and now I have the urge for a little project. 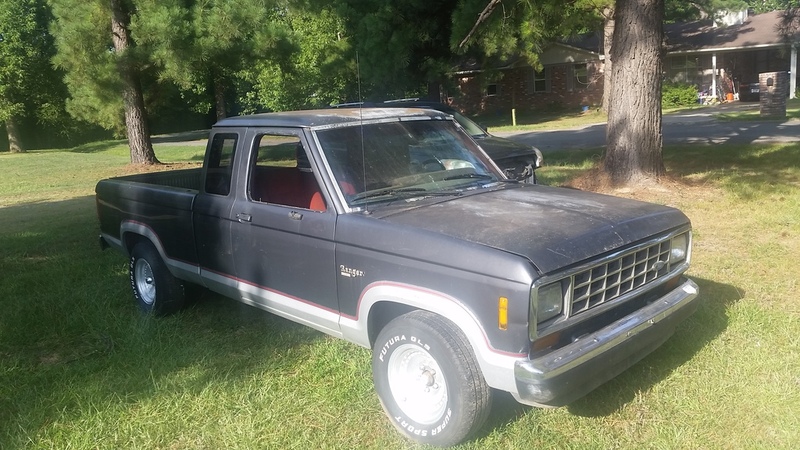 So picked up this 88 supercab for $300 off of the local craigslist not running. 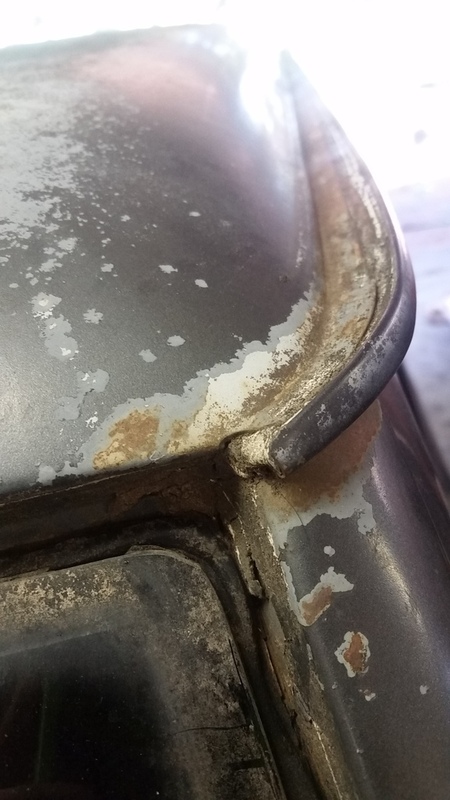 It is severe rust free as its a southern vehicle, just slight surface rust that can be almost wiped off. So after having the guy drop it off at the house for free I was able to get a closer look at it. 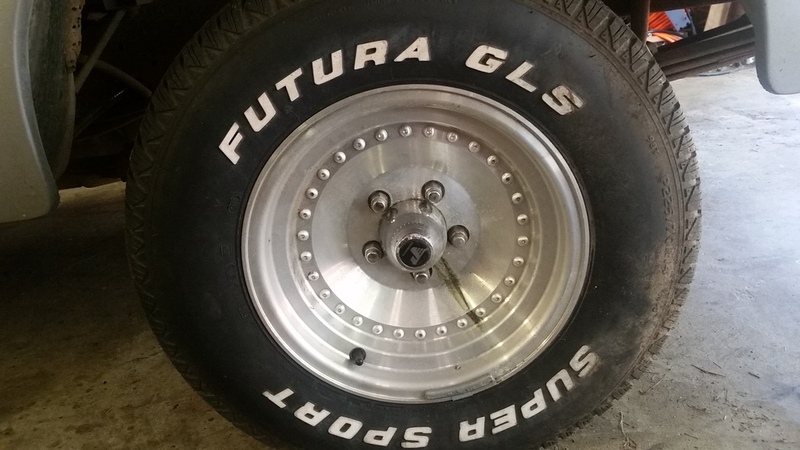 It was sold to me as the guy bought it at an estate auction for a project but he was a auto mechanic and we all know they dont like projects after all day of working on others cars so he decided to sell it off. Has a clean title, not tried to start, dead battery, and locked column as no keys. 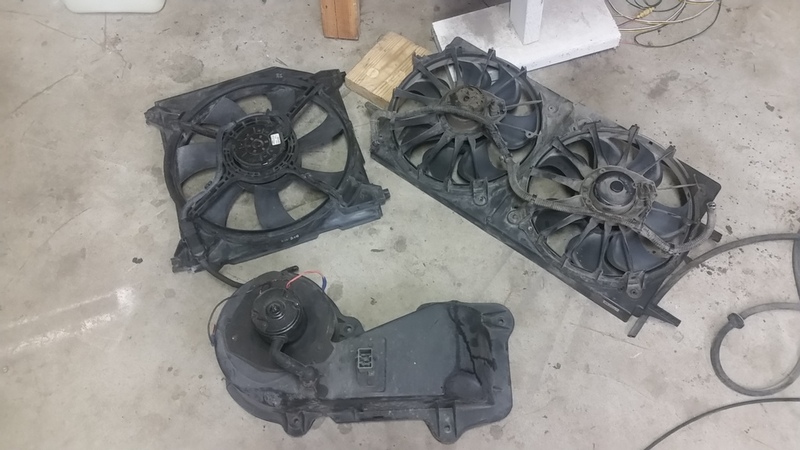 well i looked at the clutch and it was brand new so looks like it was in the works of a new clutch when the guy died and everything got sold off. 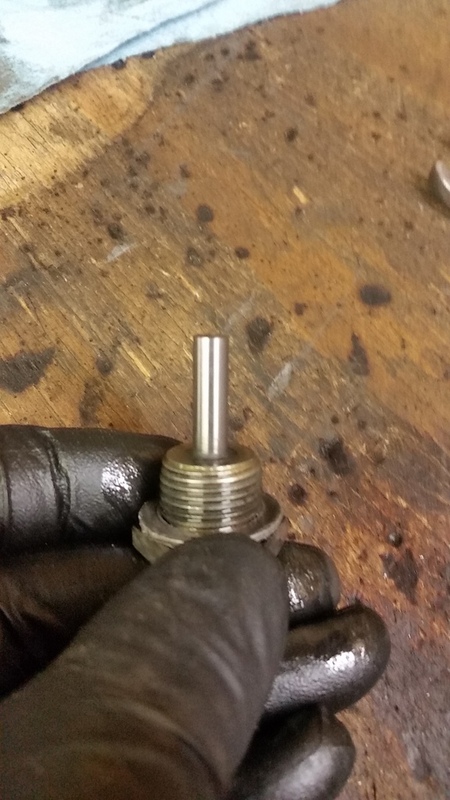 However you can see whoever was doing the job had no idea what they were doing as the clutch slave was stacked wrong with the spring in front of the throughout bearing... didnt find that till i got it running. To get it running i bought a new starter and cable, trickle charged the battery back to partial life. 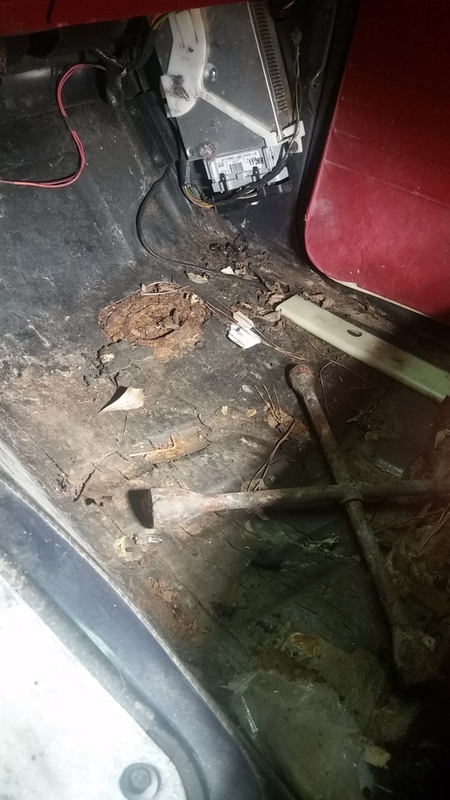 However it was missing a key part of the driveshaft so after scouring the interwebz for a one-piece later model driveshaft i found that the 2wd manual supercab to be a damned diamond in the rough and are rather hard to come by. So i purchased a later model 2 piece from a salvage yard as I will be swapping to the 8.8 rear later. Actually worked out as im still using the OEM early model 7.5 rear to work out the bugs. 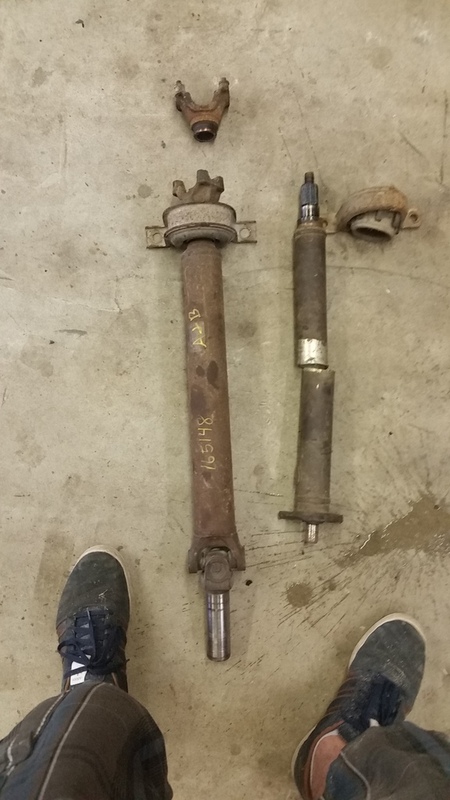 So the late model yoke slipped into the trans but it has a larger U joint than the early models and wont bolt up. 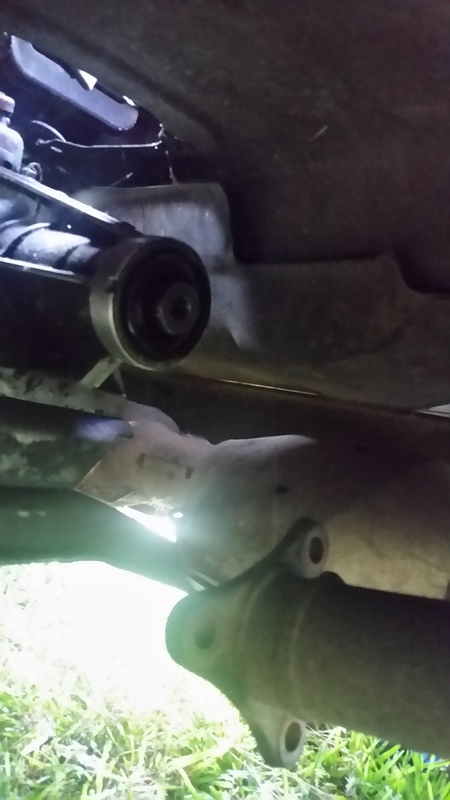 I found the early model u joint connection will fit on the late model shaft but its too large on the outer diameter to fit in the late model center bearing dust shield. So i have a small lathe and trimmed it down to 28mm to match the late model bearing. now it fit like a glove. This will work out later as i can reswap the yoke to the late model when i install the 8.8 rear end and be all g2g. 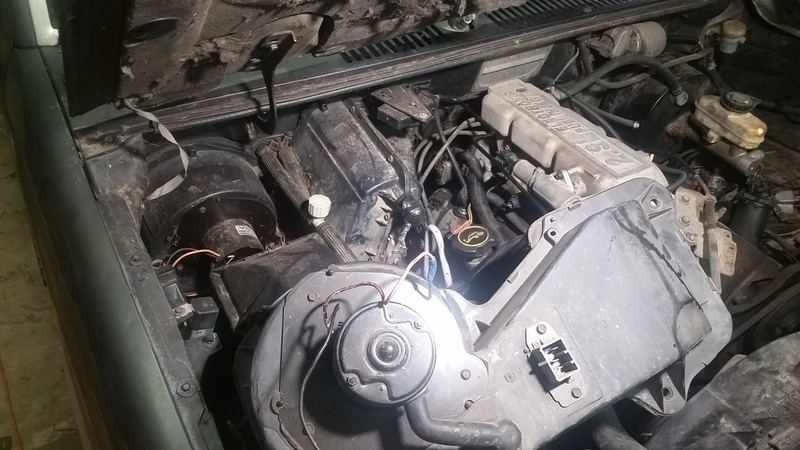 This is where i was able to start the truck just by installing the starter and jumping it old gas and all. 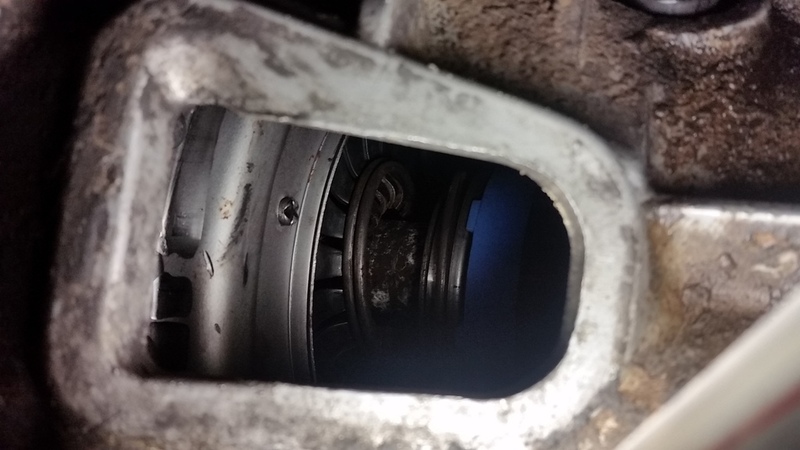 But then found the clutch wouldn't disengage to get it into my shop and felt like there was no clutch as well. 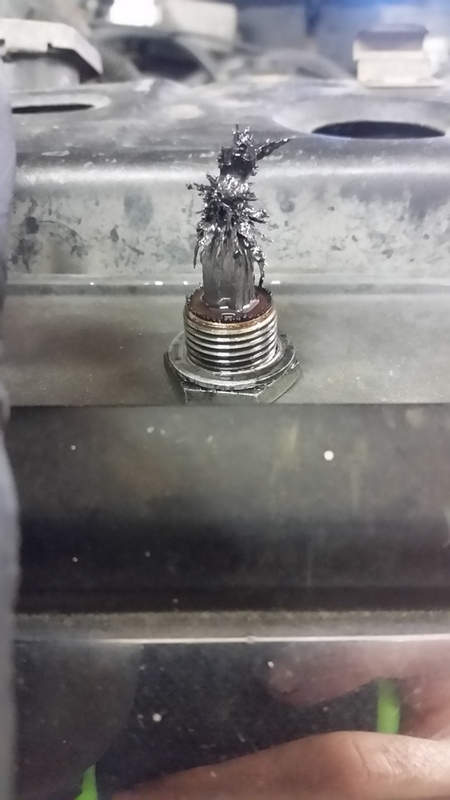 Thats where i found the incorrectly installed clutch slave. Well i put it in gear while off and started it in gear to get it into my shop. That was the end goal at the time as the truck leaks bad with no window, shot seals and, leaking windshield/splice panels. In that fuzz also found what looks like a tooth or shifter dog, either way not a concern as this setup is temp but a proven running driving setup sells better than one that doesnt. And here hows it was running moving and just prior to starting to work on the driving issues and swapping parts. 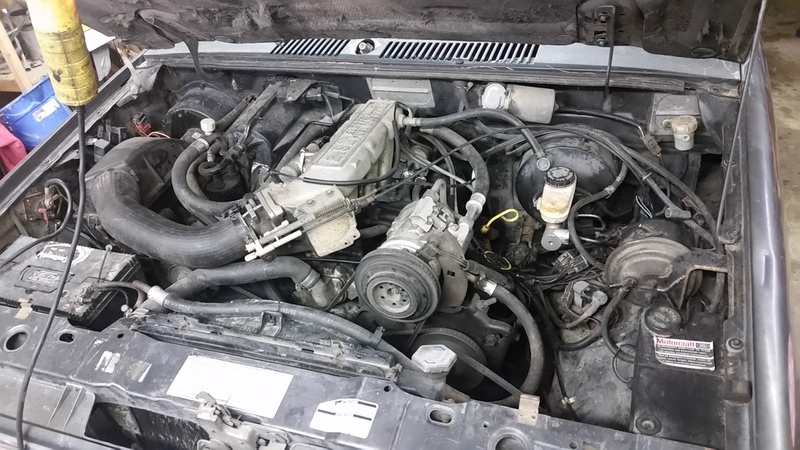 I have already removed the cruise control as i believe it was leaking internally causing a high erratic idle, so once removed she purrs pretty good at 850-900rpm Also in work of removing the A/C as its in the way and doesnt work currently. If anyone is looking for parts from that stuff let me know ill let it go cheap. Also it currently has 3 90% tread tires 225/70/R14 and one odd ball 185/75/r14 that ill straight trade anyone local for some OEM steelies with enough tread to last 3k miles as ill be changing them later but dont want to just yet. Local being Arkansas or willing to travel to me. SO ill stop this post here as its the start to a truck i can actually start working on. So the end goal is to have a JDM lowered 3" front, explorer 8.8 w/ springs swap in the rear giving about 4", restore the interior maybe with a bench seat (if anyone has one let me know), and T56'd turbo'd LM7 5.3(iron block LSX) fun truck. Feel free to peruse and ask questions! Now I need to pull the windshield as it is disbonding from the seal on the drivers lower. 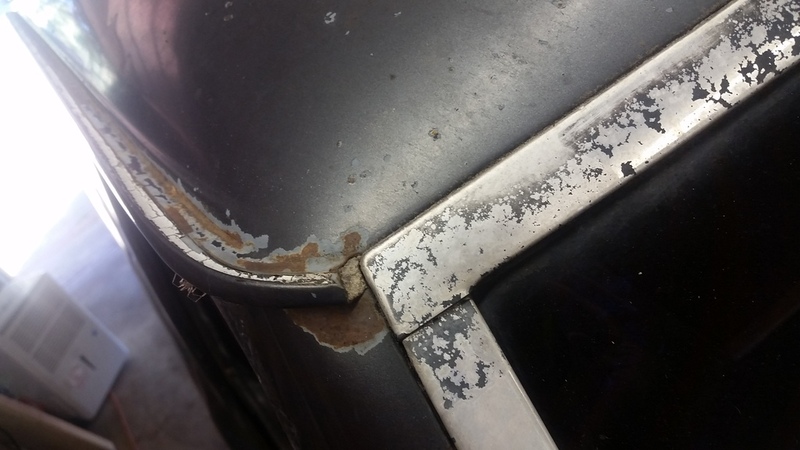 When i pulled off the trim I also noticed the Rain drip and bode panel sealant is so dryrotted and cracked its letting water in so i need a good recommendation on a seam sealer for this as im not a body guy. any suggestions? I will have the window out so i can seal it properly the entire length of the seam. 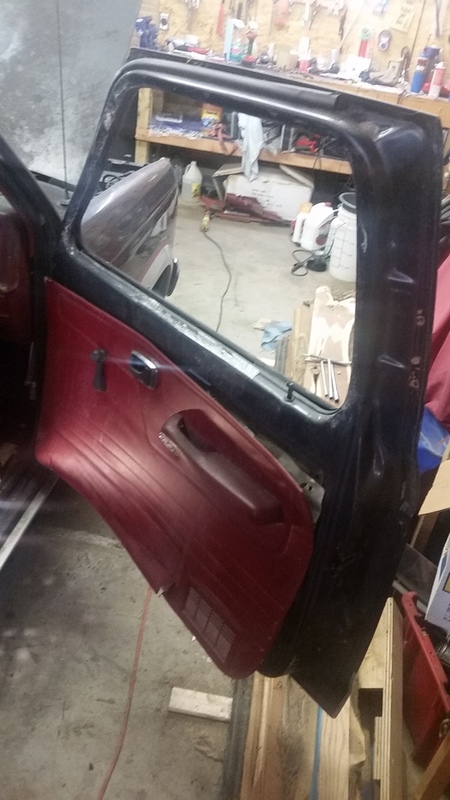 Now the window trim isnt damaged but the paint and rubber seal on the back are toast so i need to figure out either a universal seal when the window goes back in or re-new this stuff. ill take suggestions there too!? 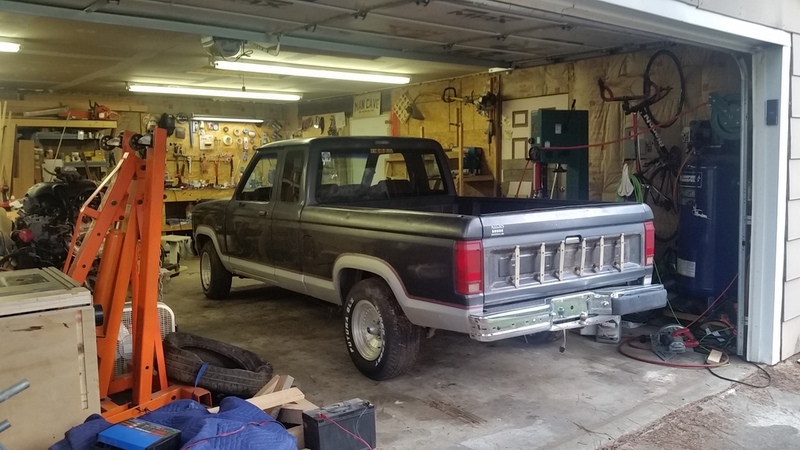 Now to clean more interior up and start shortening my junkyard explorer 8.8 w/ positrac disk brakes and 3.73 gears. 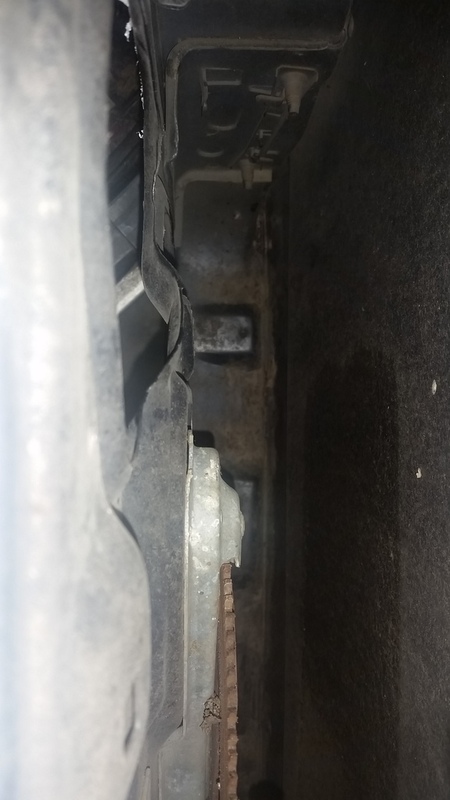 Cruise might be an easy fix if you check into it, there is a vacuum dump valve down on the brake pedal that would be cheap and easy to replace and a vacuum line that goes thru the firewall to get to it. No idea how/if it would work with your GM engine though. Might just have to make a bracket. If it is the servo you can still get new ones if you are so inclined. Cruise is nice, after 16 years I am adding it to my truck. 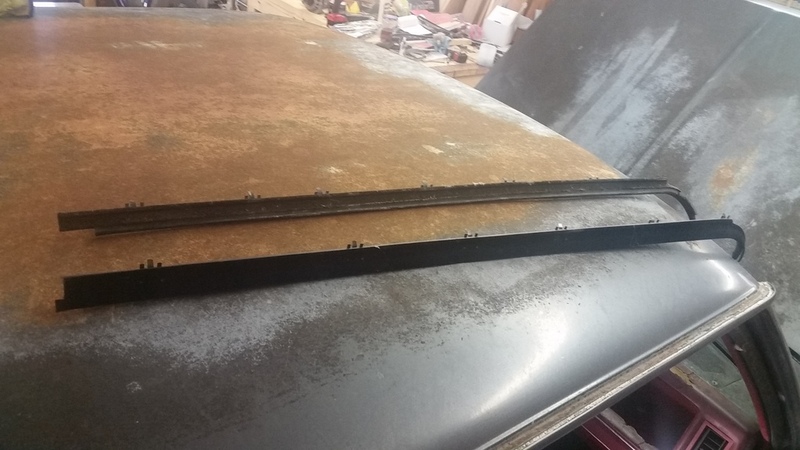 For the gutters, I picked all the loose stuff out of the big holes at the front I could and filled it in temporarily with clear flowable windshield sealer. No idea if it is the best idea or not but it seemed to seal it up really nice. 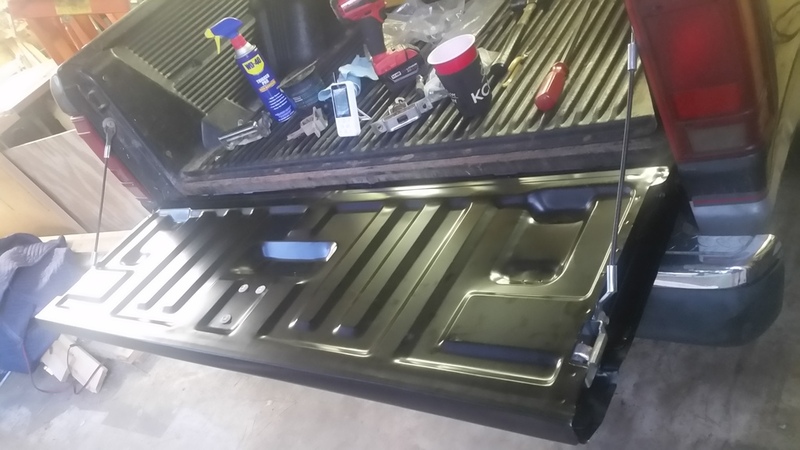 IMO to do it right (which I intend to do in a year or two when I paint the truck) is to chip all the sealer out of the troughs and seal it with regular body panel epoxy. But doing that without painting it would make it look all sorts of nasty. 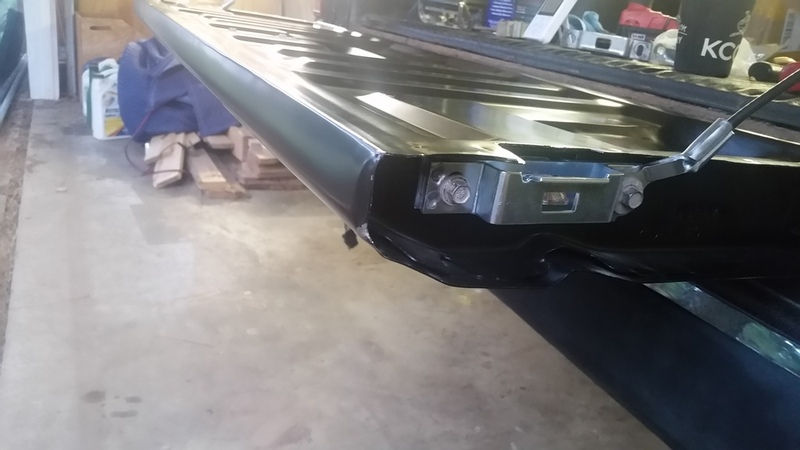 If that has been leaking long you might give the floor pans, cab corners (which look very nice on the outside) and the steel support behind the kickpanels in the cab a good look. Also pull the gavenized covers off the engine side of the firewall and make sure the cowl drains are clear and not rotted out too. 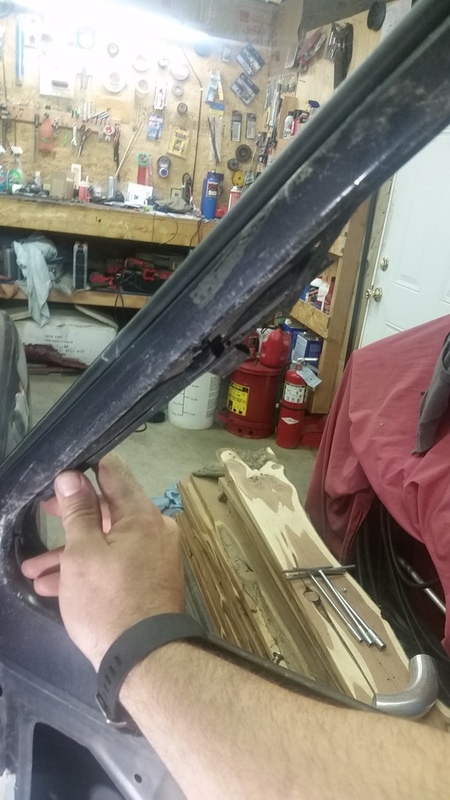 For windshield trim stuff off second gens seems to age better, I just swapped it on mine a few days ago. The gasket (of unknown effectiveness at anything, best guess for wind noise) was nice and the black paint hadn't came off like every first gen I have found. Ill look into the panel epoxy, iv been reading and most people reccoment a 2 part epoxy seam sealer so ill look into that. 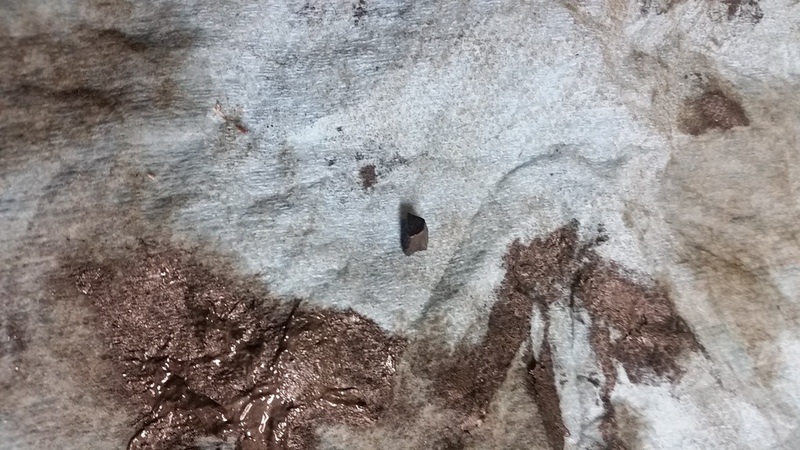 I plan to chip and clean it our as much as possible then epoxy. 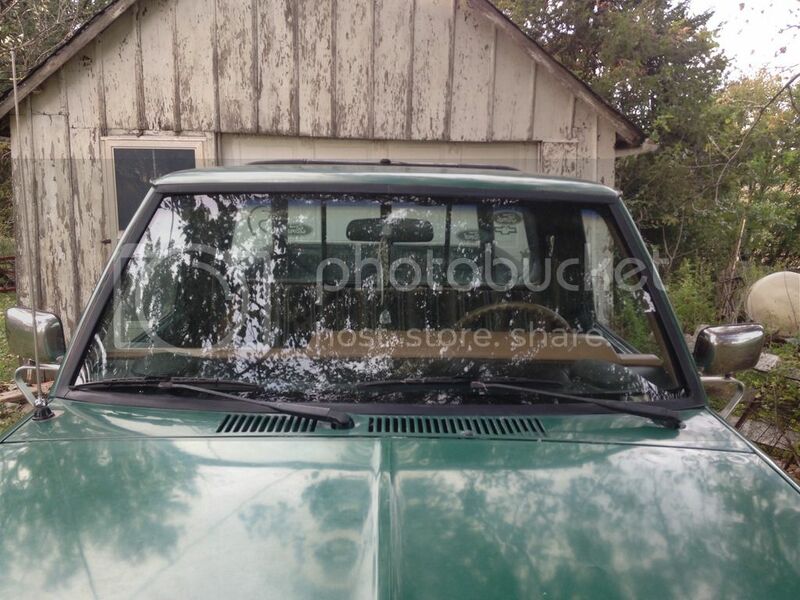 I dont really want to paint the entire truck but im planning on doing a matte black on the hood, roof, and tailgate. Hopefully i can get it so it doesnt look completely off at the transition. I know all too well the rust issues that can stem from this growing up in Wisconsin but believe me when i tell you this is a SOLID truck as far as rust goes. I don't think its ever been out of Arkansas. I do have to clean the Cowl drains and area out, that's the one area I'm slightly afraid there may be rot. Tell me more about the second gen seal? is it rubber? does it clip in the same way as the 1st gen? maybe a pic or two? I saw you can still get that one from LMC but not the 1st gen.
Also got my new tailgate installed from LMC. 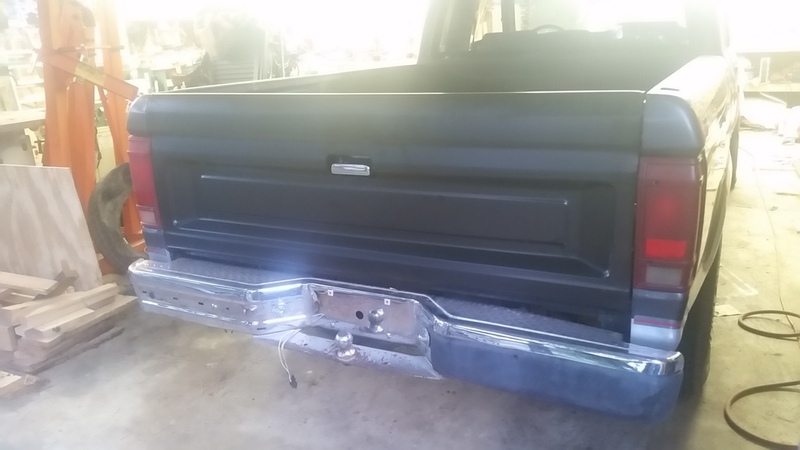 I always loved the stamped in Ford tailgates and originally pulled off the aluminum panel on mine to see all the holes and dents that needed repair to use it. At the time i saw the LMC one and said for $150 its not worth my time to repair mine...turns out the LMC truck tailgate DOES NOT HAVE THE STAMP.... I had already ordered it before i found that out unfortunately. Ill still use it for now though if i find a good condition stamped one at the junk yard ill for sure snag it though. It did have one minor ding at the corner from shipping, oh well nothing major. I also ordered the hardware kit from LMC as well for the new gate. solid stuff however it does not come with the hardware you need to swap yours or source others. Not a big deal except you the plastic bar retainers for the handle should have been included IMHO... lucky mine were still usable although im sure you could source those pretty easy. 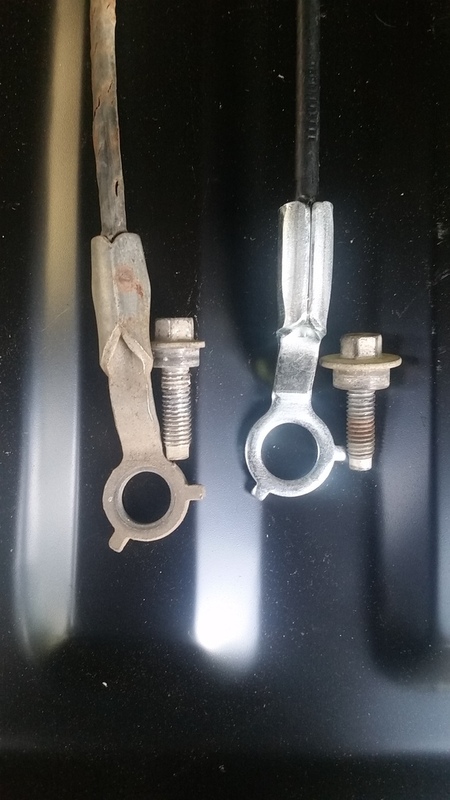 One issue i did find though is the LMC cable eyelets for the tailgate were larger than my OEM ones to the point the bolt wouldnt hold them on.... odd. But when i was at the junkyard I saw the later model ranger had larger bolts and matching hardware to the LMC so i snagged those bolts and its g2g now. 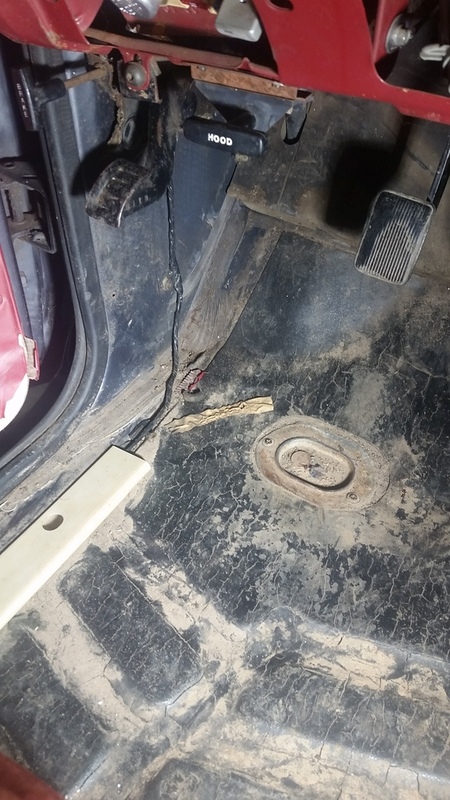 So if your swapping your late model ranger cables you may run into that issue. I just picked up another set, I can get pics. It snaps in like original, the "seal" is a rubber thing that presses against the glass. I think it is so wind doesn't whistle between the glass and the trim. Yeah id appreciate pics when ya can, sounds like it'll be the way i wanna go on that. 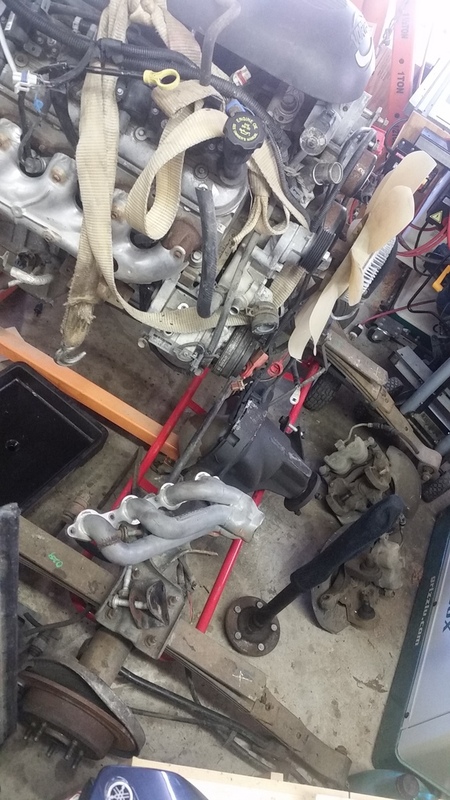 Well not much time to work on it before work but I decided to start fixing the issues that make it where i dont want to start driving it to work yet. I always like to be able to drive my projects, otherwise it turns into too much like work. First order of business the passenger window is nonexistent and the door panels are worse for wear. So removed the handles and cover, think ill keep those as templates if i dont like how the LMC panels turn out. The LMC panels are hard plastic but im thinking about covering them in vinyl for sound deadening and a plusher feel. Also I got all new window slide pieces as the old stuff was well no longer rubber. 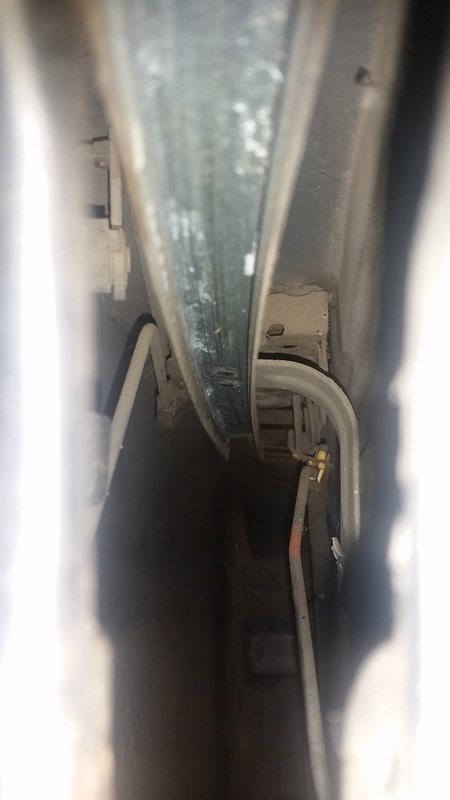 The lower inner and outer window wiper/seals are held in by little clips that you can reach inside and release, then they just pop out. 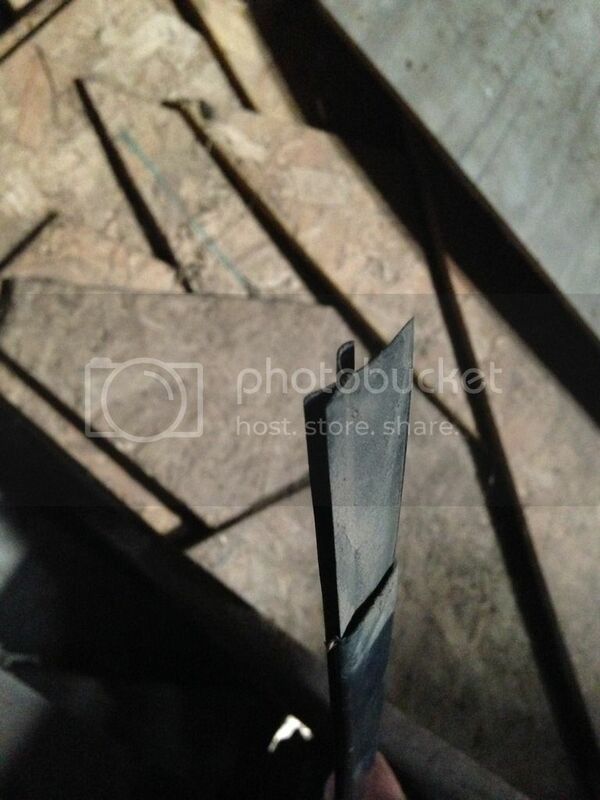 ANd then the upper window seal as well which pretty much crumbled into pieces. Now if you are doing this you need to reuse the metal alignment tab from the old seal as the new LMC one doesnt have it. And then i cleaned up the outside of the door a bit, scrapped the dirt inside and vacuumed it all out. NO RUST! nice... I will however need ot remove the lock as i have no key and the latch assembly as its old dusty and realll tight so needs cleaned and relubed. Thats as far as i got today before work. Just keep an eye out at JY's, good door panels are still out there. Think you misunderstood, no rust as in there is no rust this is a solid ranger everywhere iv looked in the usual places. No, interior door panels. The plastic/vinyl things on the inside. Ah gotcha, yeah I'd just make them at that point. It's too easy on these they are literally a flat piece with a couple holes. Yeah, I just kept an eye out and found a nice set of tan ones for mine. I didn't think LMC ones were worth what they think they are worth especially when they are not the same as original. Stock up on door handles when you find them too, they like to break. Red would be nice to find parts for, it seems to have been all the rage in the 80's. 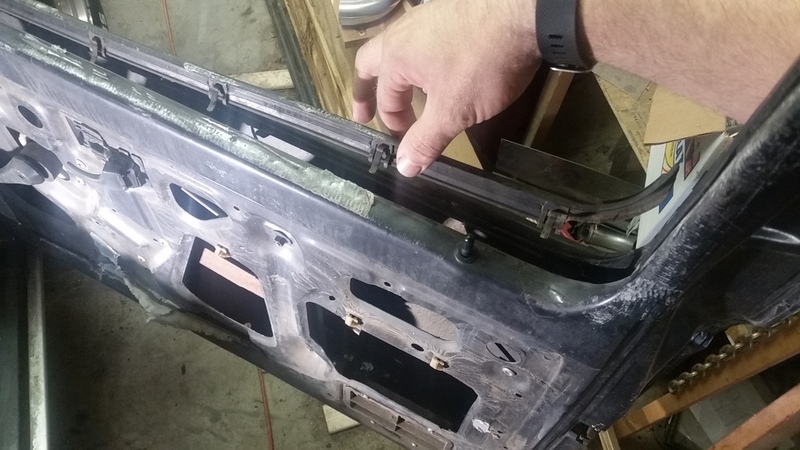 Yeah between the tailgate and the door panels I'm now doing a bit more forum research on their parts to see if they are replacement or reproduction style. Good point on the handles. Think I'll make a stop by the junkyard again next weekend. I slid the seal out of the trim a little so you can see it better. It fit as well as what was on it did. Ford seems to have stuck the bottom DS side mounting stud 1/8" too deep so the clip won't grab the trim... but the old trim was the same way.